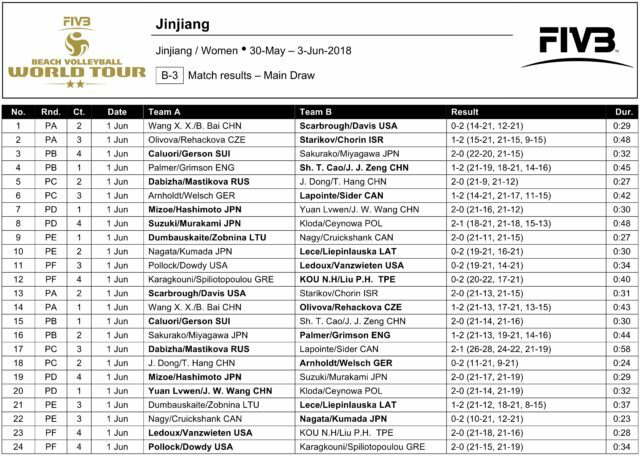 Pool play is underway at the Jinjiang Two-Star and will wrap up late Friday night (ET). The three American women’s teams in action are 5-1 with qualifiers Aurora Davis/Bree Scarbrough and Caitlin Ledoux/Kendra Vanzweiten each posting two wins to win their respective pools. Amanda Dowdy/Irene Pollock are 1-1 with a straight set loss to Ledoux/Vanzweiten and a 2-0 win over Greece’s Panagiota Karagkouni/Aliki Spiliotopoulou. 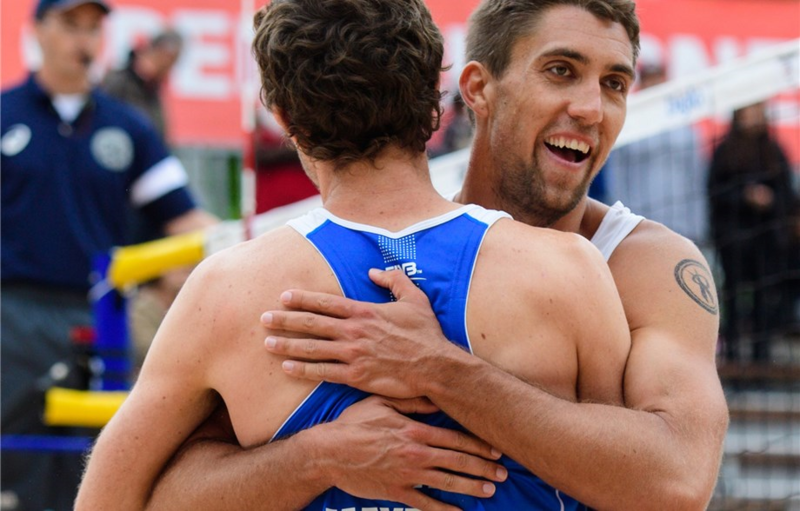 On the men’s side, second seeded Americans Trevor Crabb/John Mayer grabbed two wins to take the Pool B title. 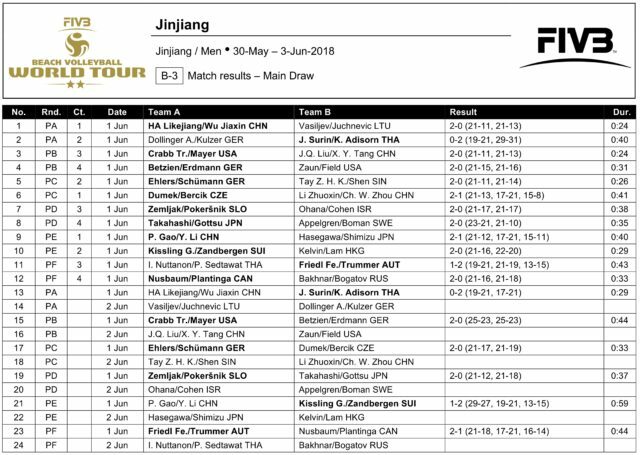 Countrymen Eric Zaun/Troy Field lost their opening match to Germany’s Max Betzien/Jonathan Erdmann, but will look to rebound against China’s Jinqiu Liu/Xingyu Tang at 8:30 p.m. ET as pool play continues. Thus far five matches have gone to tiebreak. Qualifiers Friedl/Trummer accounted for two of those, besting No. 6 seed Nuttanon Inkiew/Sedtawat Padsawud of Thailand 21-19, 19-21, 15-13 and No. 7 Aaron Nusbaum/Michael Plantinga of Canada 21-18, 17-21, 16-14. Kissling/Zandbergen went the distance in their second match, rebounding with a pair of deuce set wins after falling 29-27 in the opener against China’s Gao Peng/Li Yang. Surin/Adisorn upset top seeded Ha Likejiang/Wu Jiaxin of China in their second match of the day.